Heat oven to 400°F. 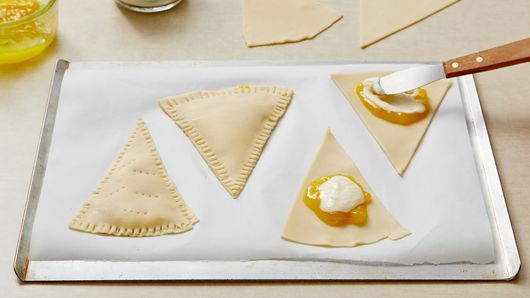 Line 2 cookie sheets with Reynolds® Parchment Paper. In small bowl, mix lemon curd and 2 teaspoons of the vanilla; set aside. In another small bowl, mix ricotta cheese, 4 teaspoons of the powdered sugar and 2 teaspoons of the vanilla; set aside. 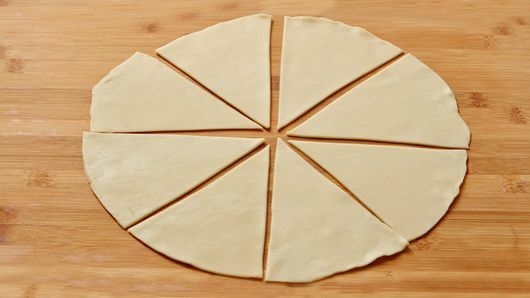 Unroll pie crusts on work surface; roll each crust to 12-inch circle. 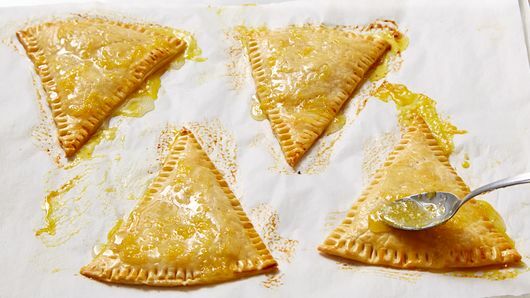 With pizza cutter or knife, cut each crust into 8 wedges. Place 4 wedges on each cookie sheet. Spoon 1 tablespoon lemon curd mixture in center of each wedge on cookie sheets; top with 1 tablespoon ricotta mixture. Spread to within 1/2 inch of edges. Brush edges of crust with egg. Top with remaining pie crust wedges. Press edges with fork to seal. Prick tops of tarts 4 to 5 times with fork. Brush tops of tarts lightly with egg. Bake 12 to 15 minutes or until golden brown. Cool 10 minutes; remove from cookie sheets to cooling rack. Meanwhile, in small bowl, mix remaining 1/4 cup powdered sugar, remaining 2 teaspoons vanilla, the lemon peel and lemon juice until smooth. 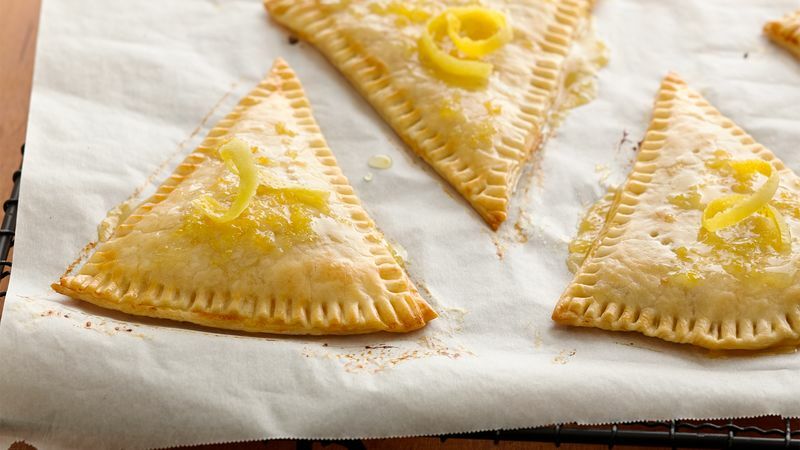 Spread glaze over warm tarts; garnish with lemon peel curls. Serve warm. Store covered.